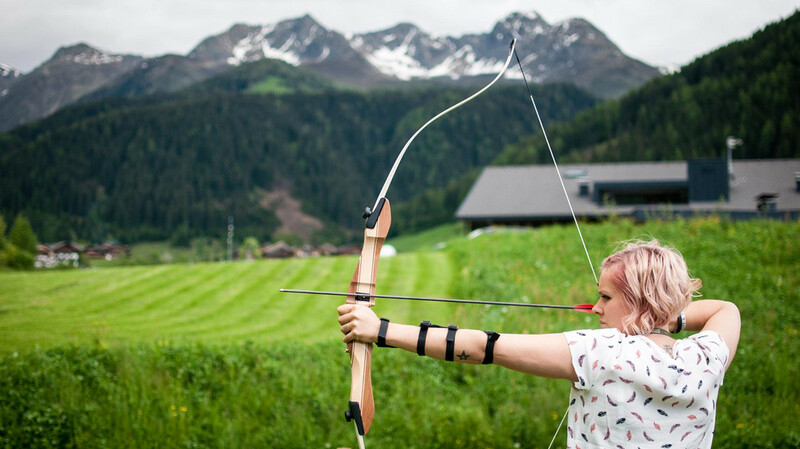 Beside the beautiful hiking tracks, mountains, relaxing wellness and our alpine cuisine, you can from now on also explore our archery range. Directly next to the hotel on our mountain meadow, Viktoria and Sepp will show you the basics in this sport. From different distances you can shoot at the target discs with a diameter of 60, 80 and 122 cm. 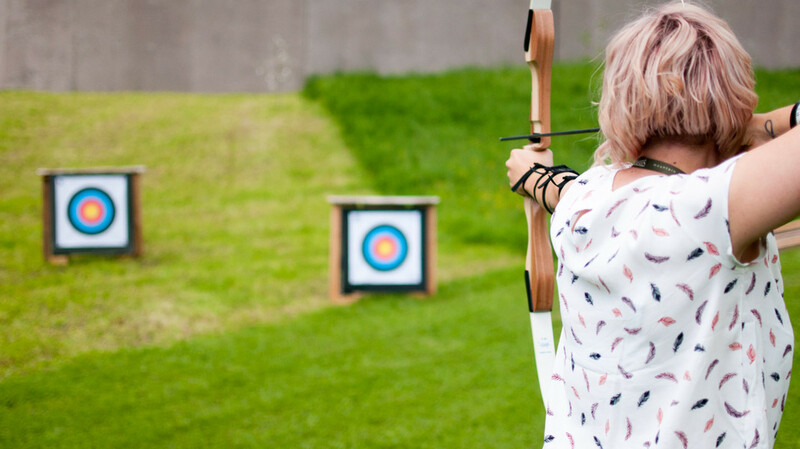 Our professionel recurve bows are perfect for beginners and advanced athletes and they will support you to hit the bull's eye. This service is free of charge for our house guests. External guests on enquiry.